International wildlife conservation charity World Land Trust (WLT) has launched an urgent appeal to raise £30,000 to save a new species of hummingbird. 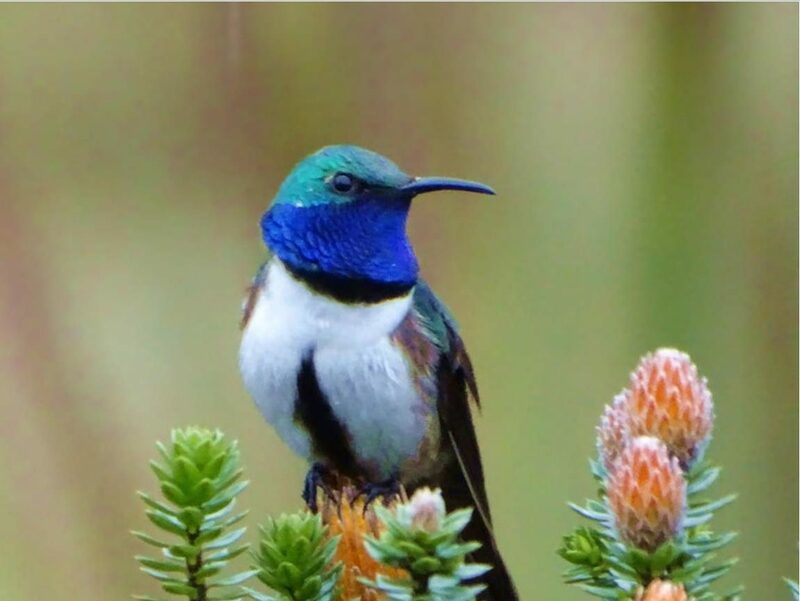 The blue-throated hillstar was discovered last year on a remote series of mountaintops in southern Ecuador but is already in critical danger of extinction. Mining corporations have gained the rights to mine for metals such as copper, gold, and lead from the hillstar’s habitat – a disaster for local wildlife. WLT has launched the Save the Blue-throated Hillstar appeal to enable partner Naturaleza y Cultura Ecuador (NCE) to extend a Water Protection Area to include the hillstar’s 70,000 acre range. This will create a government-protected area where mining will be illegal. As well as the Blue-throated Hillstar, a new species of frog, the Tik Tik rain frog, was also discovered in August, with the habitat also home to spectacled bear, mountain tapir and the Andean Condor.